Mr. Hilkowitz, Chairperson and independent non-executive Director, has informed the Board that he has decided to retire, effective 28 February 2019. Mr. Hilkowitz has served as a non-executive Director of the Company since April 2002 and has been Chairperson of the Board since 1 January 2008. 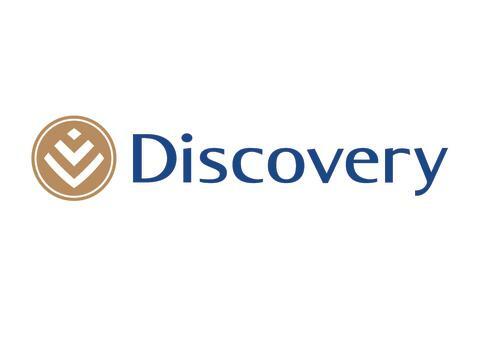 During his Chairmanship, Discovery has grown considerably, launching three new businesses, concluding five joint ventures and growing its client base from 2.5 million in three markets to 18 million members in twenty markets. Discovery is very grateful to Mr Hilkowitz for his invaluable contribution to the Group throughout these 16 years of exceptional growth. Mr. Hilkowitz will ensure a controlled handover to the new Chairperson and will continue to serve as non-executive Director on the Boards of certain of the Group’s UK subsidiaries. The Company is pleased to announce the appointment to the Board of Mr. Tucker as independent non-executive Chairperson and Director, with effect from 1 March 2019. Mr. Tucker has had a long relationship with Discovery, spanning over 13 years, commencing during Discovery’s JV with the Prudential, continuing through its first Vitality partnership with AIA, and then as a member of Discovery’s International Advisory Board since 2014. The appointment to the Board as Chair marks the natural progression of this relationship, given where Discovery currently stands in its globalisation process. The Board believes that Mr. Tucker’s substantial global and institutional experience will be very valuable to the Group in this expansion, and welcomes his formal succession to the Board at this time. Added Adrian Gore, Chief Executive of Discovery: “Mr. Hilkowitz has been fundamental to our success over the past decade and we extend our deepest appreciation for the prudent and committed leadership he has displayed; and wish him all the best for his retirement. We are very pleased to welcome Mr. Tucker to our Board, we know he will play a significant role in helping us to achieve our ambitions to grow and expand Discovery globally. Mr. Tucker is the non-executive Group Chairman of HSBC Holdings plc. From 2010 to 2017 Mr. Tucker was the Group Chief Executive and President of AIA Group Limited. He led its record-breaking initial public offering in Hong Kong in October 2010. AIA is today the second largest life insurance company in the world and the world’s largest, independent publicly-listed pan-Asian life insurance group. Prior to AIA, Mr. Tucker was Group Chief Executive of Prudential plc from 2005 to 2009. He served on the Court of the Bank of England as a non-executive Director 2009 to 2012 and was an independent non-executive Director of the Goldman Sachs Group 2012 to 2017. Mr. Tucker qualified as an Associate of the Institute of Chartered Accountants in England and Wales (ACA) in 1985, is an Associate Professor at the Chinese University of Hong Kong and serves on the Asia Business Council and the Advisory Board of the Asia Global Institute. Over the course of his more than 30 years’ experience in the financial services industry in Asia, the US and the UK, Mr Tucker has developed a deep domain knowledge of insurance, asset management and banking at a global level. He also has considerable experience of governance and Board matters within sophisticated institutions across many different markets.